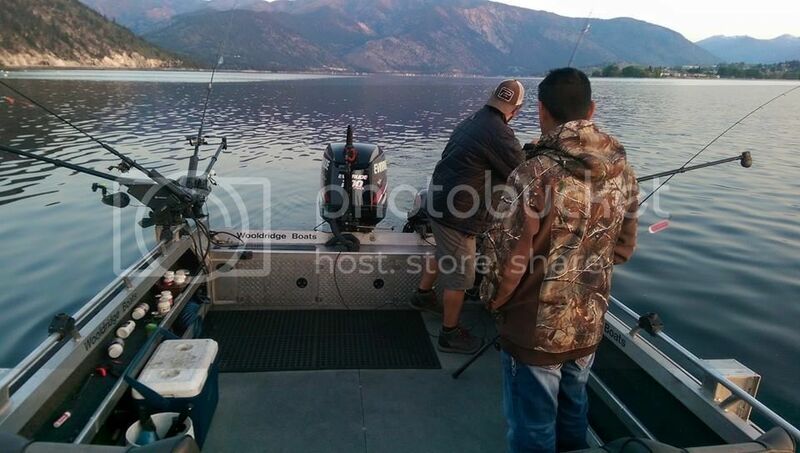 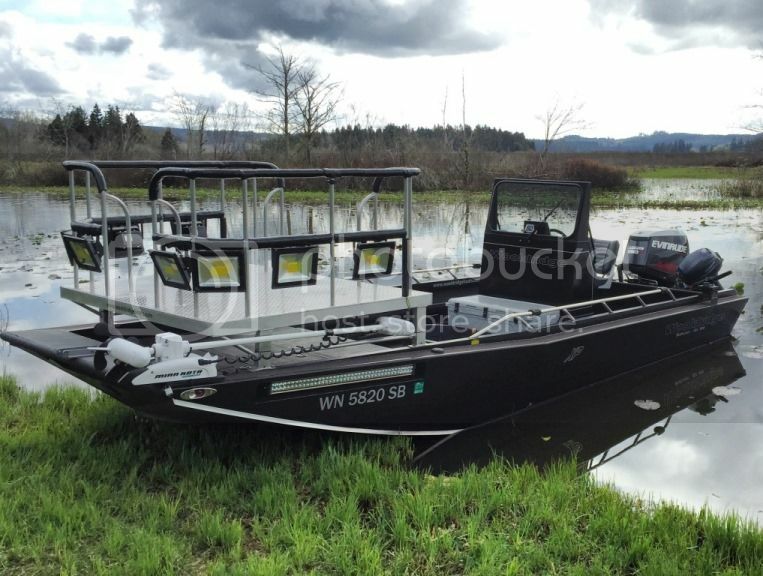 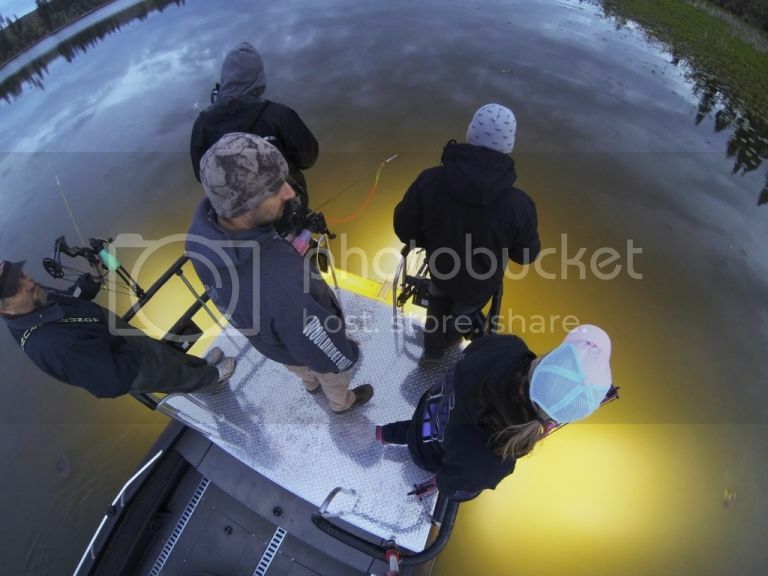 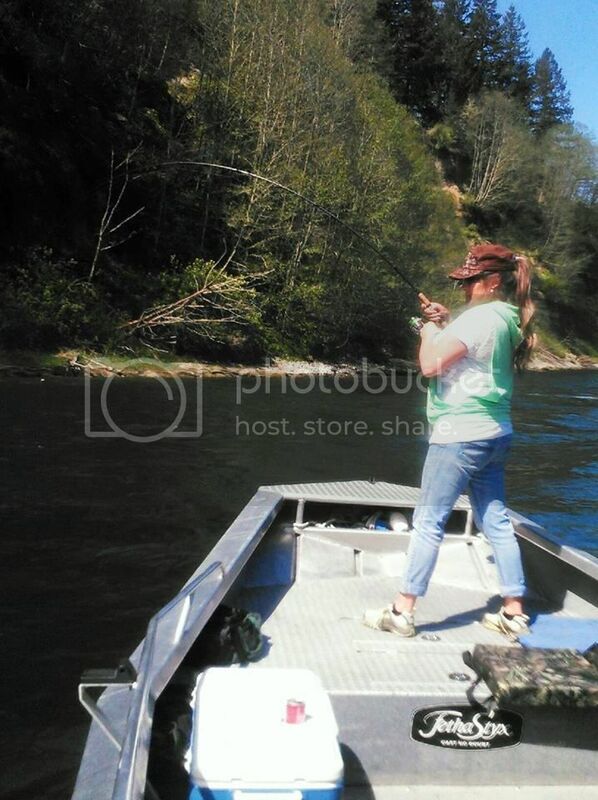 Go to...http://www.fishwenatchee.com/ and book a fishing adventure of a lifetime! 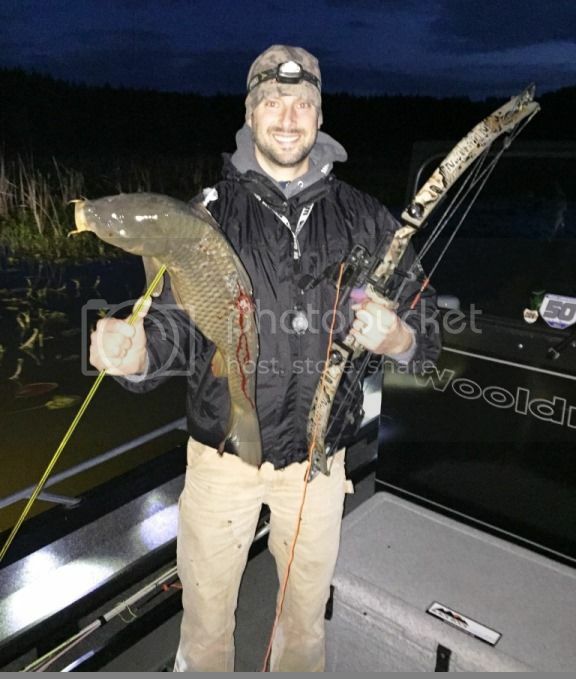 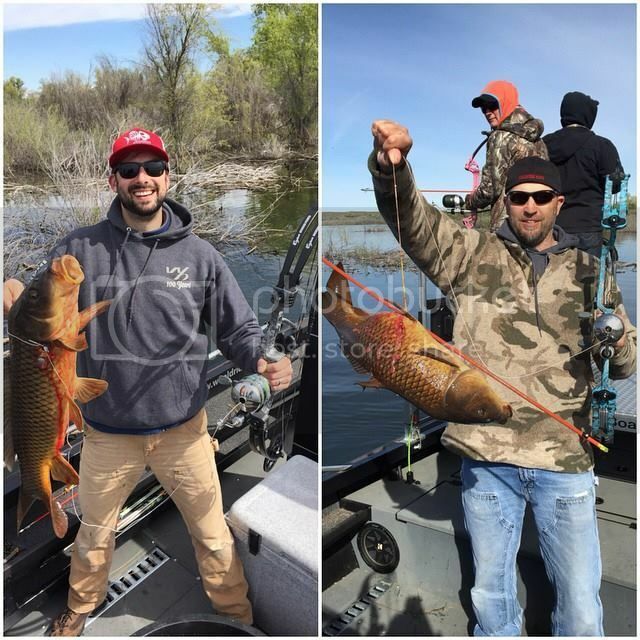 Grant and Travis recently went Bow Fishing for Carp on Richard's 21' XP Center Console, powered with an Evinrude E250 E-Tec. 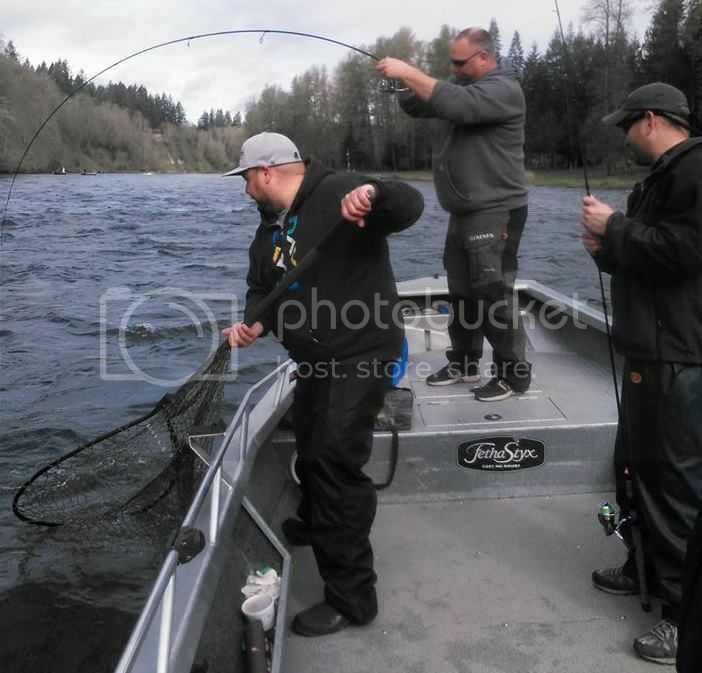 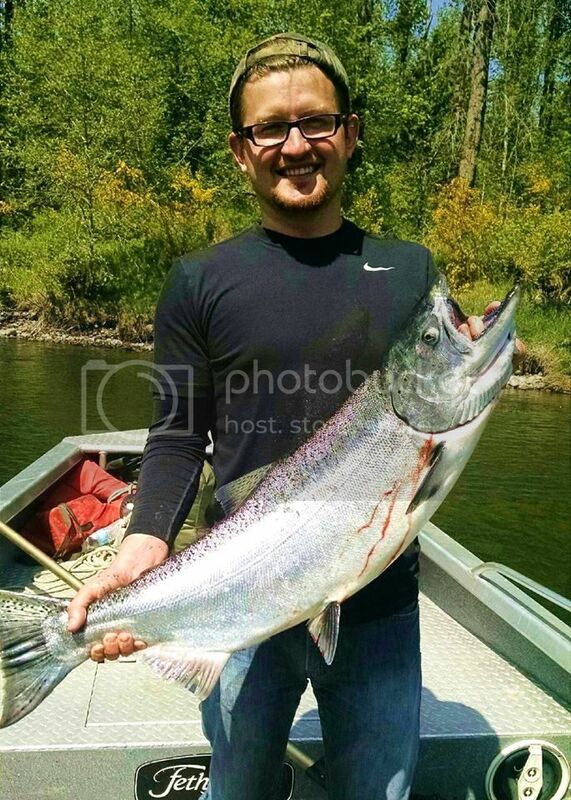 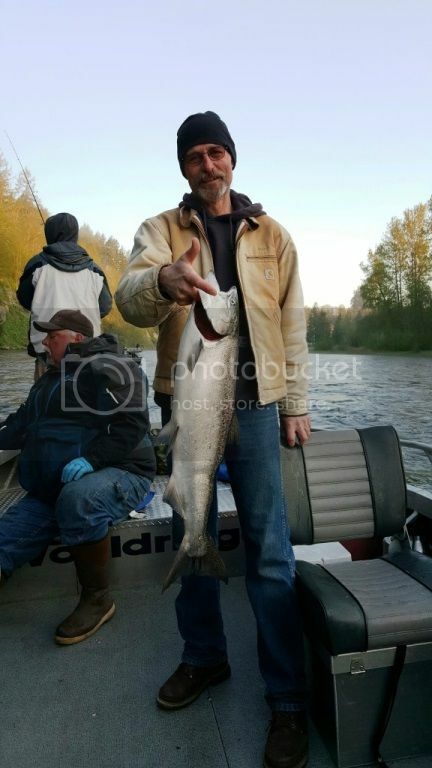 Aaron Jordan said...Cowlitz steelhead! 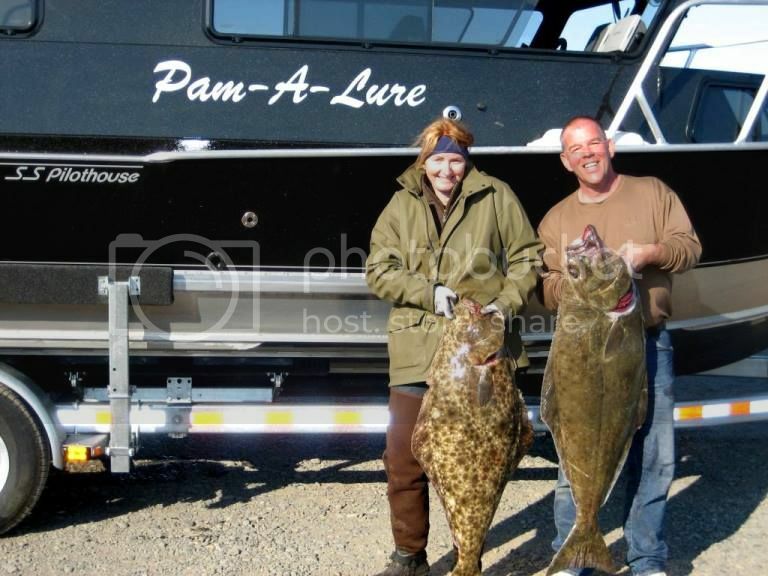 Fishing has been nothing less than epic lately! 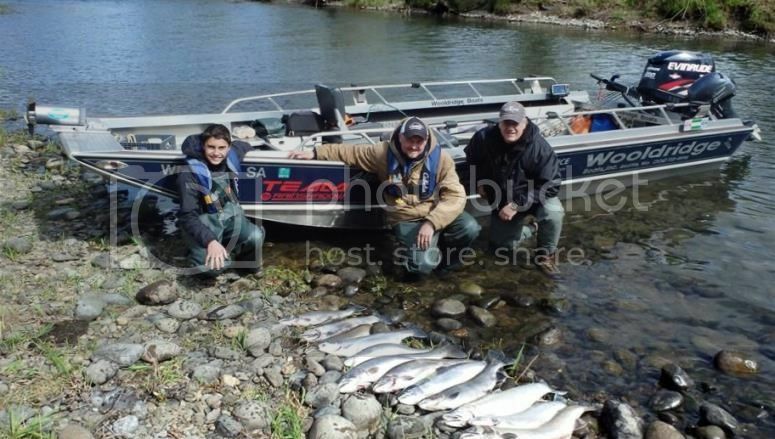 Managed to land 8 today with many others on." 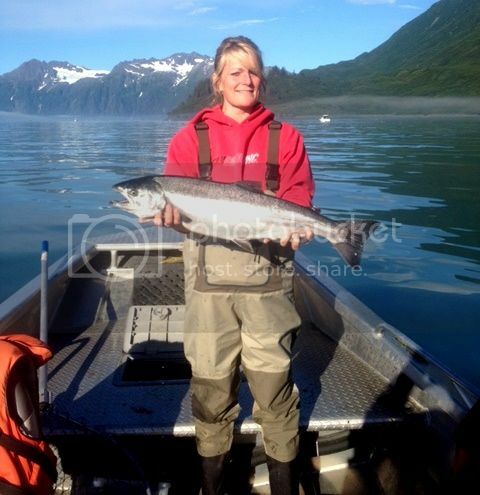 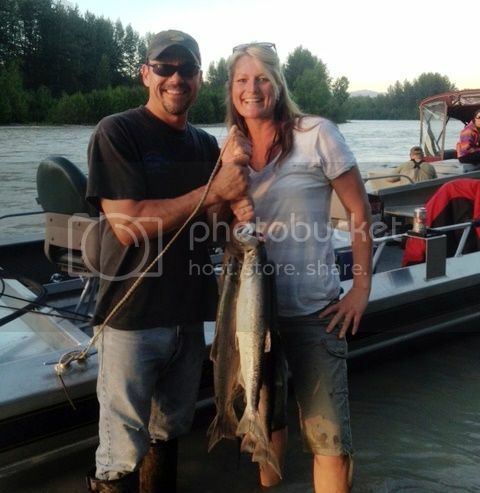 Aaron Jordan is at it again, fishing from his 20' Alaskan XL! 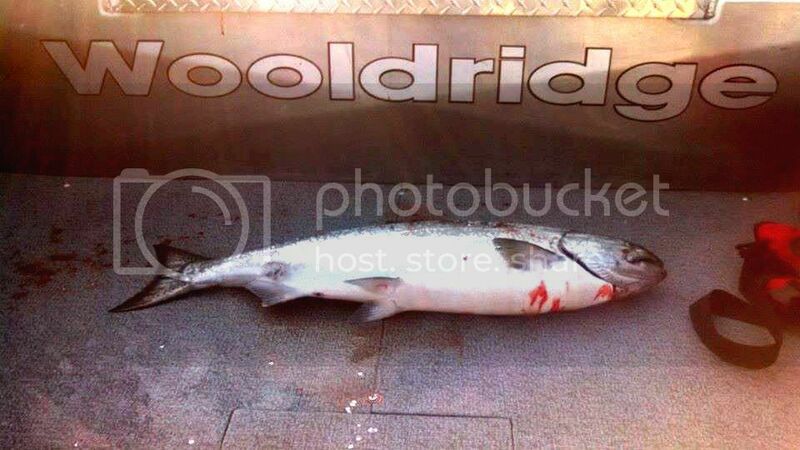 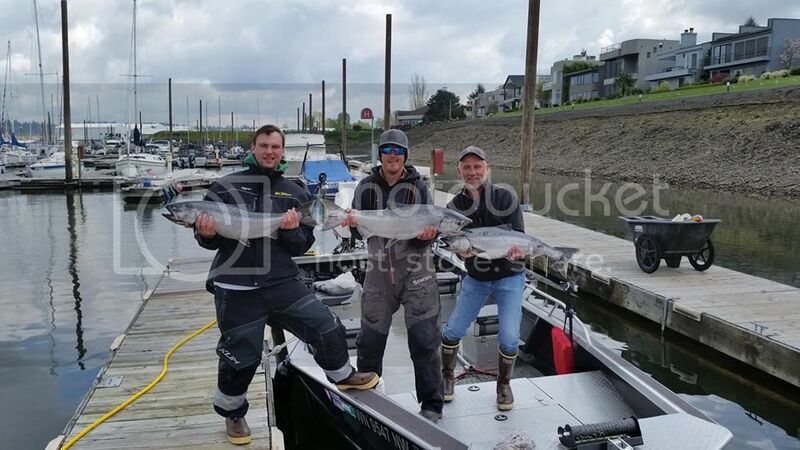 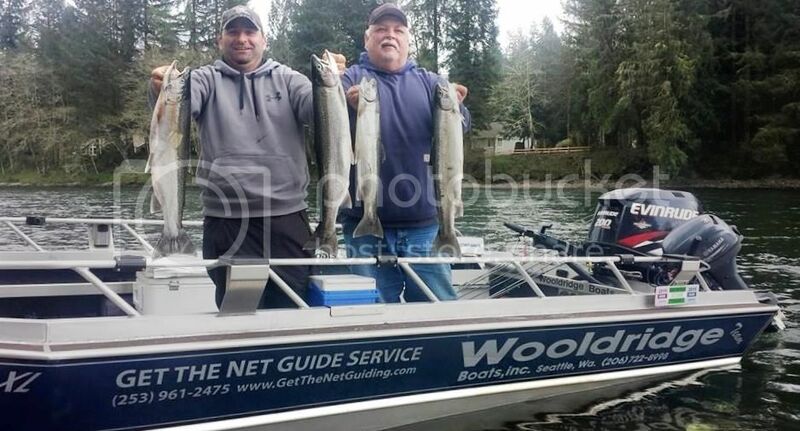 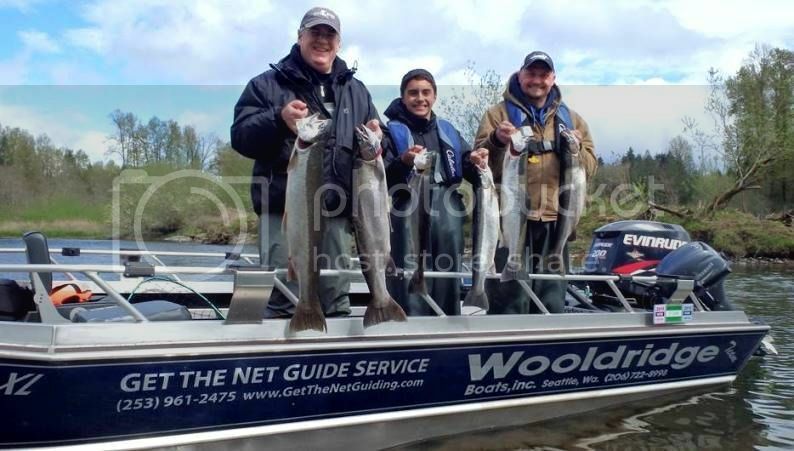 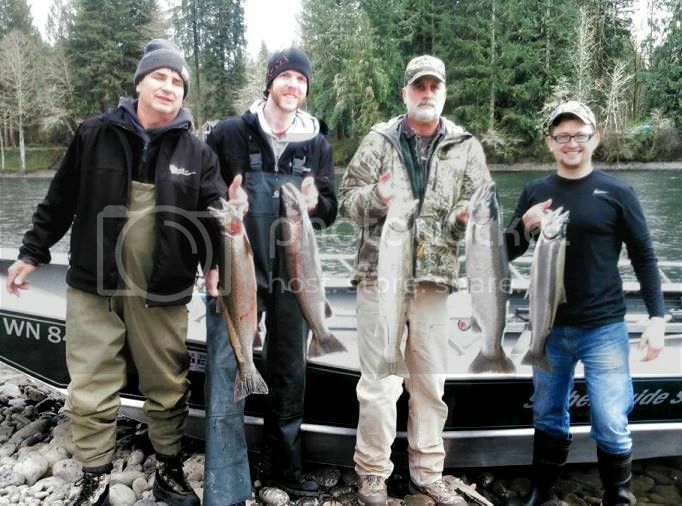 "Scott, Jason and Julian truly crushed some steelhead Saturday! 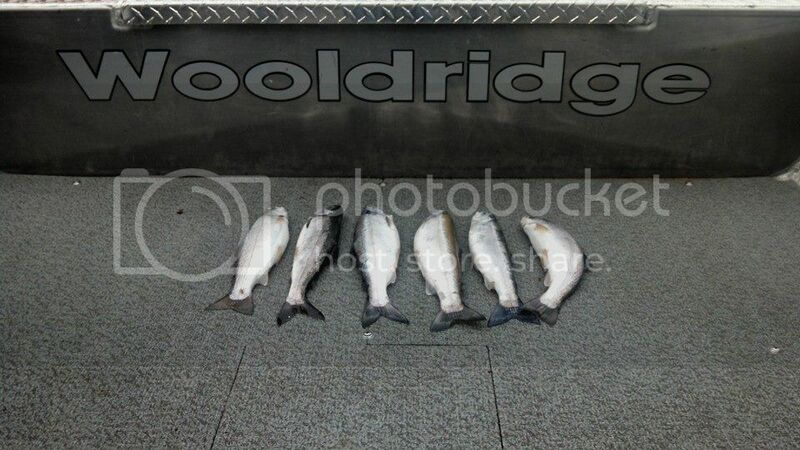 We went 12 for 17 on these hard fighting fish." 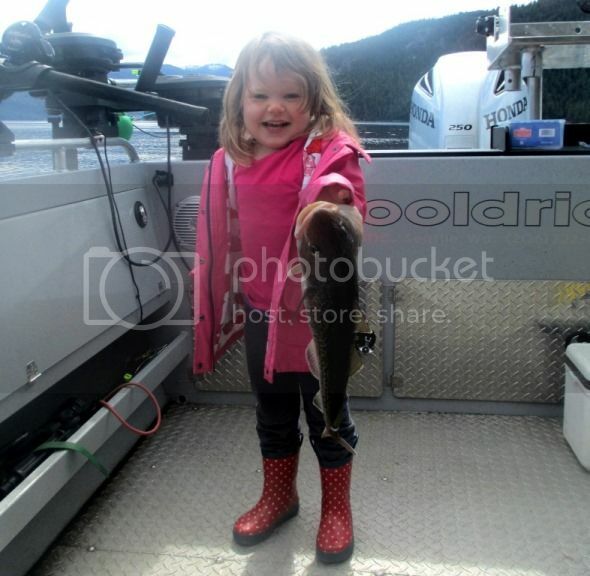 Merv sent in this fishy pic. 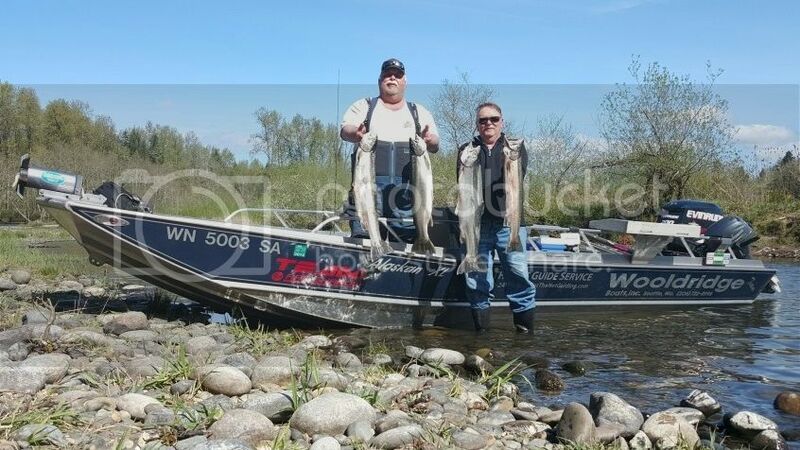 He said...Last summer catching reds up in the valley. 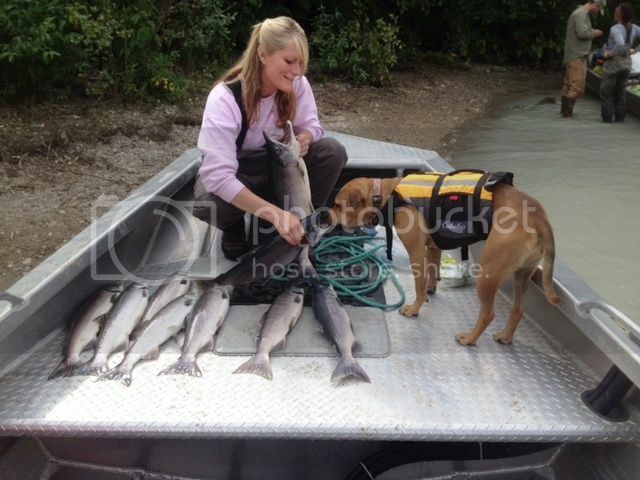 My wife Pam and our pooch Ava. 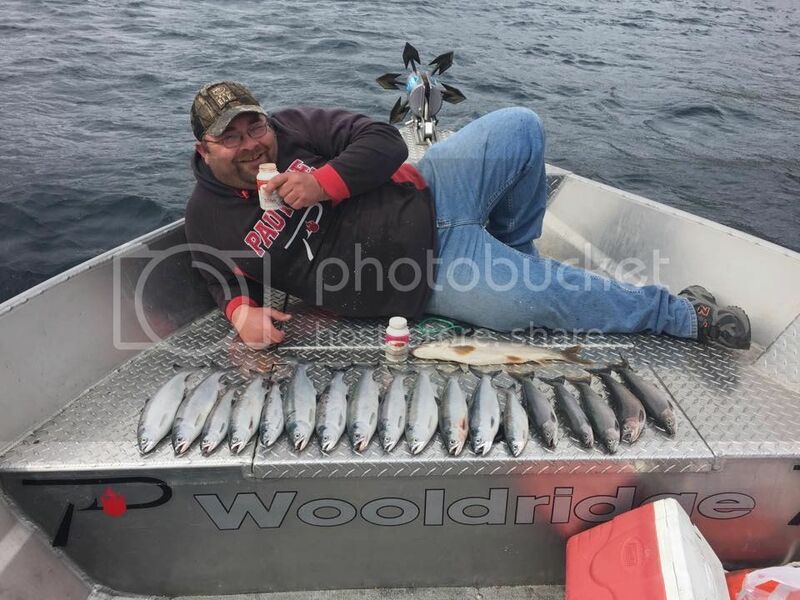 Kevin owns a 23' Super Sport Offshore Pilothouse and said...Here are some pics of the first trip of the year for Blackjack. 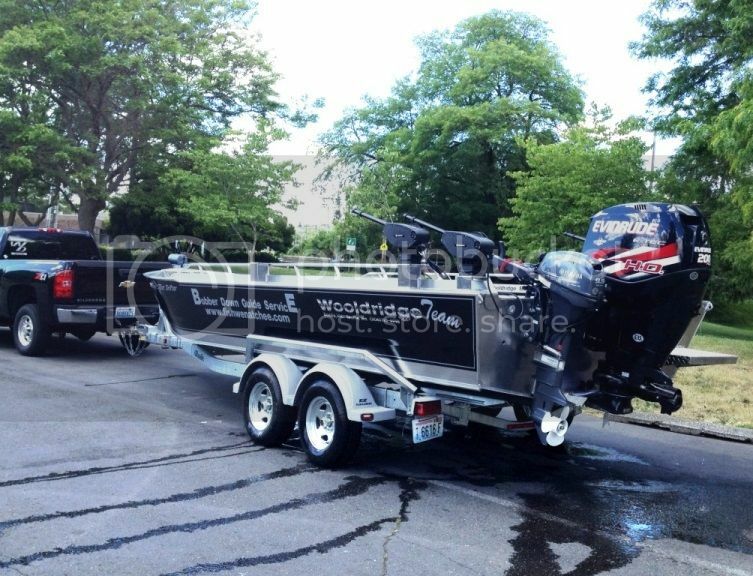 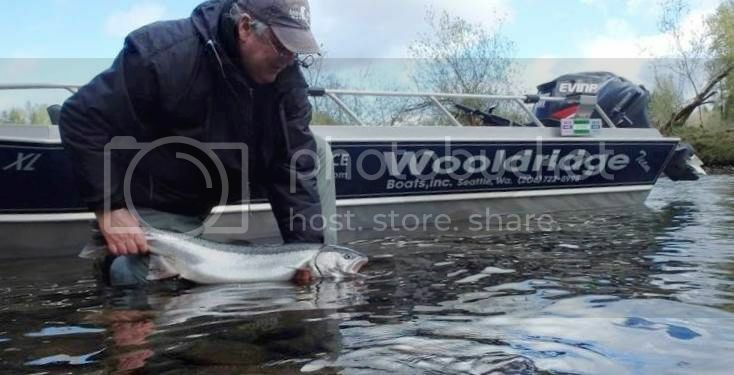 Brads been getting his customers into some really chrome fish lately. 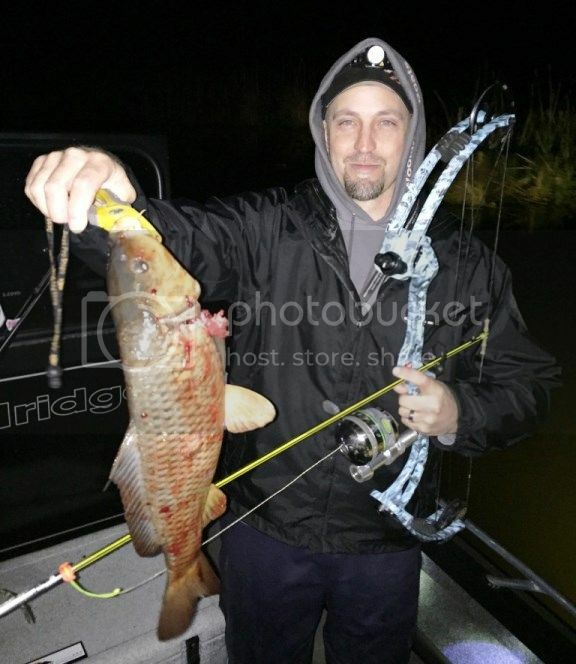 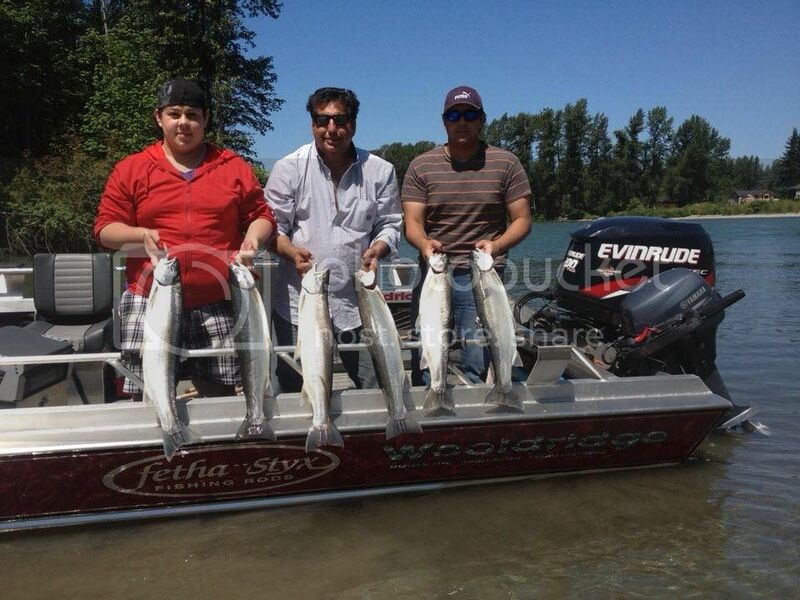 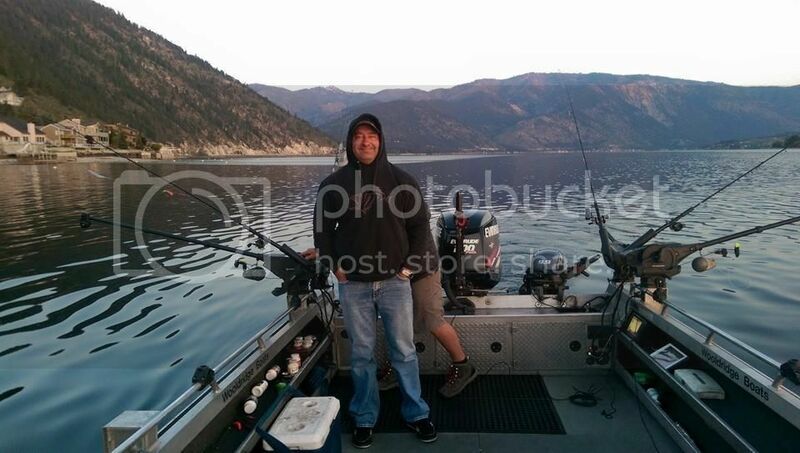 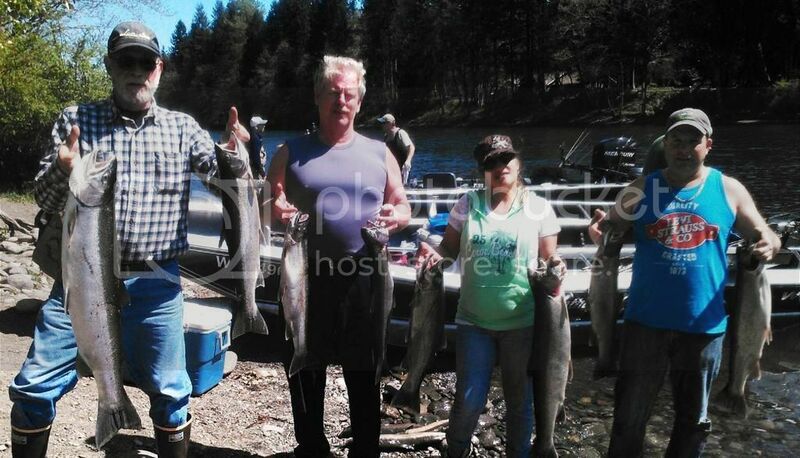 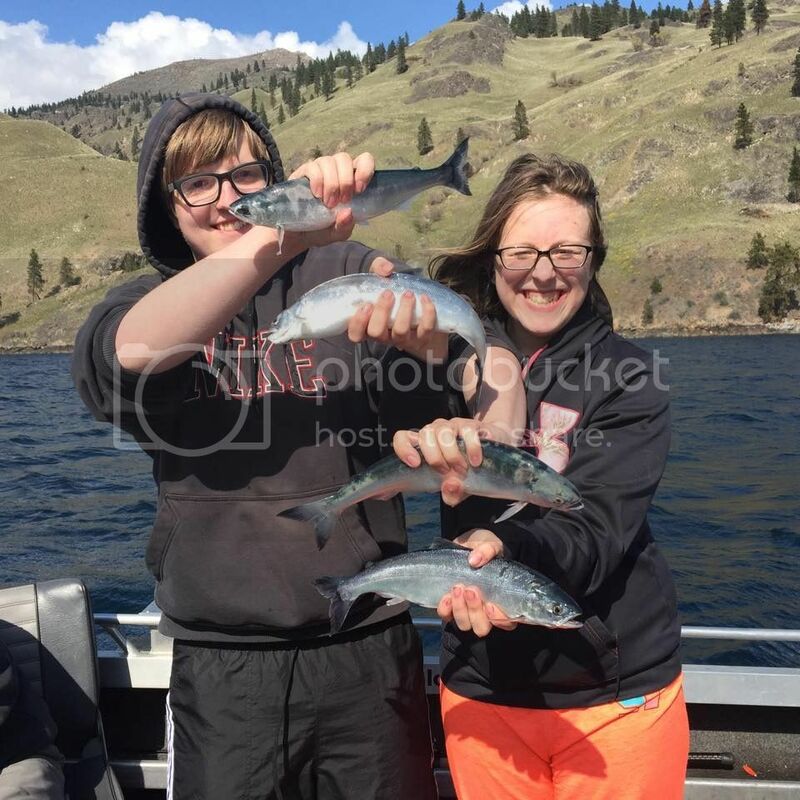 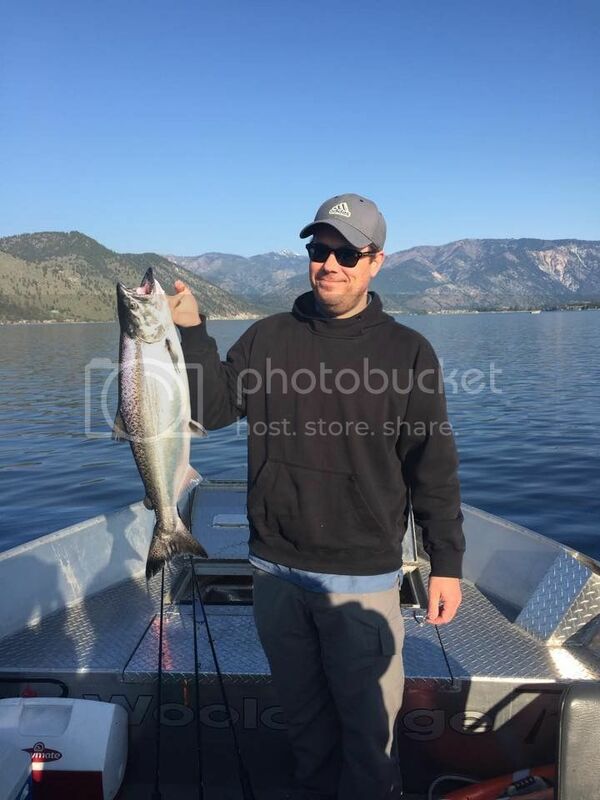 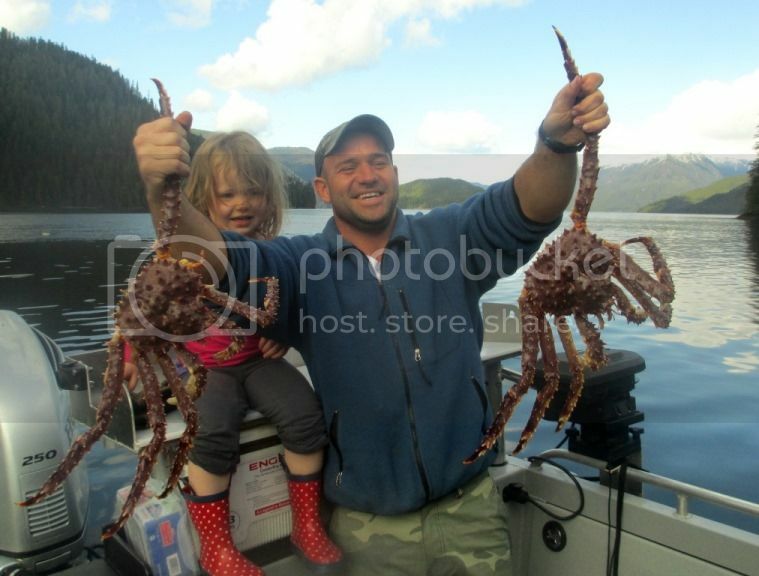 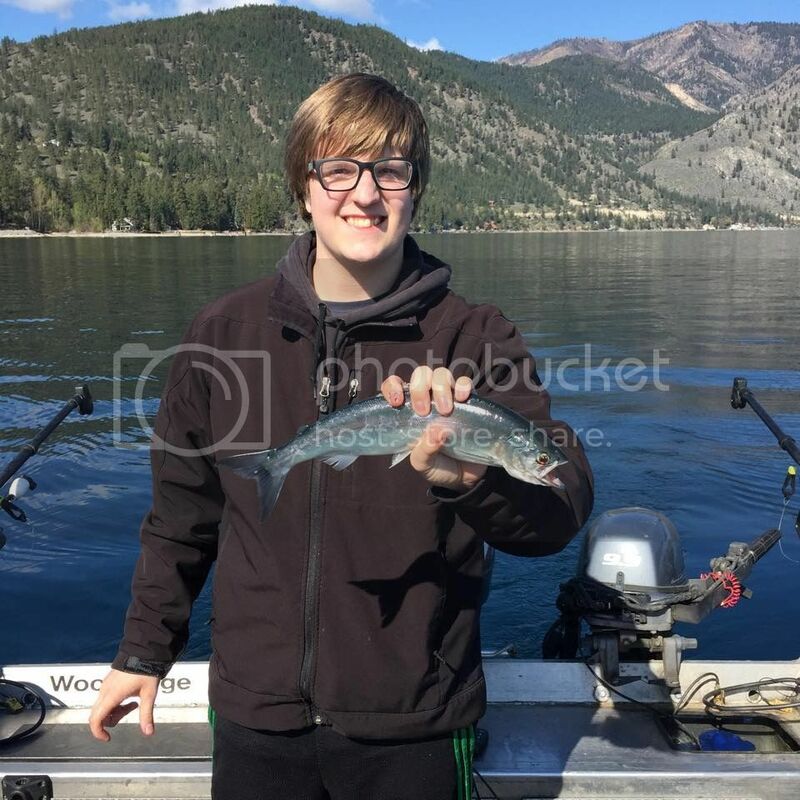 Book a trip with Brad at http://www.fishwenatchee.com/. 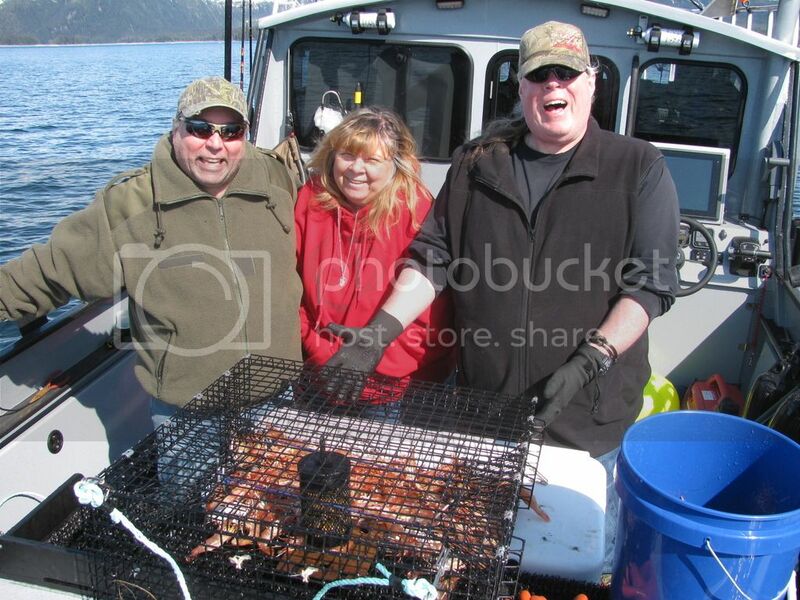 Nice size butts right there, lets eat. 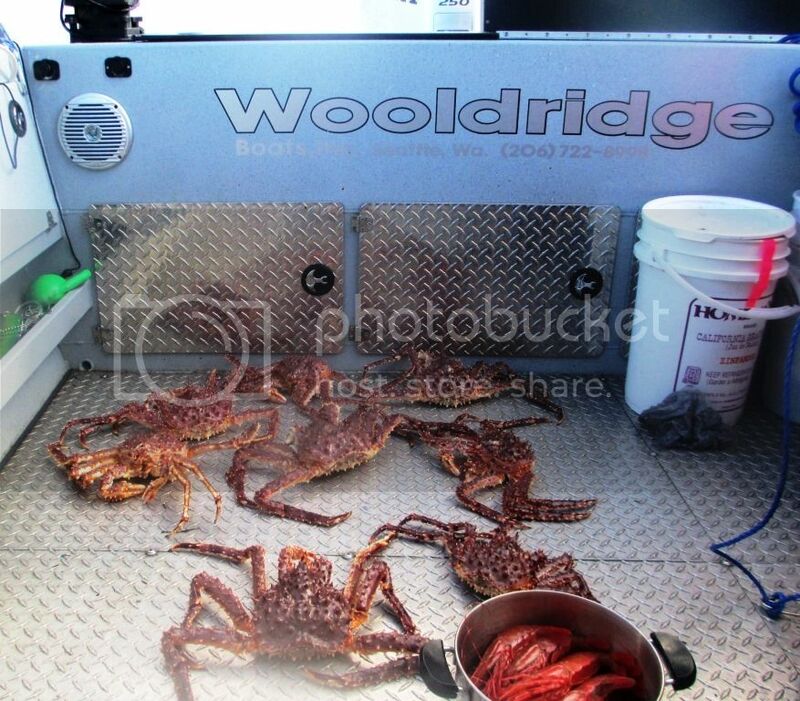 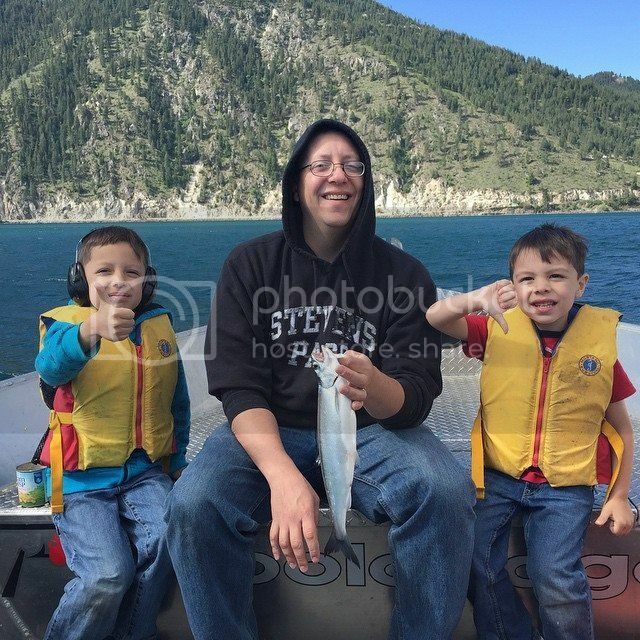 Rock and his son Daniel went fishing with Guy on his 26' SS Pilothouse in the San Juans last weekend. 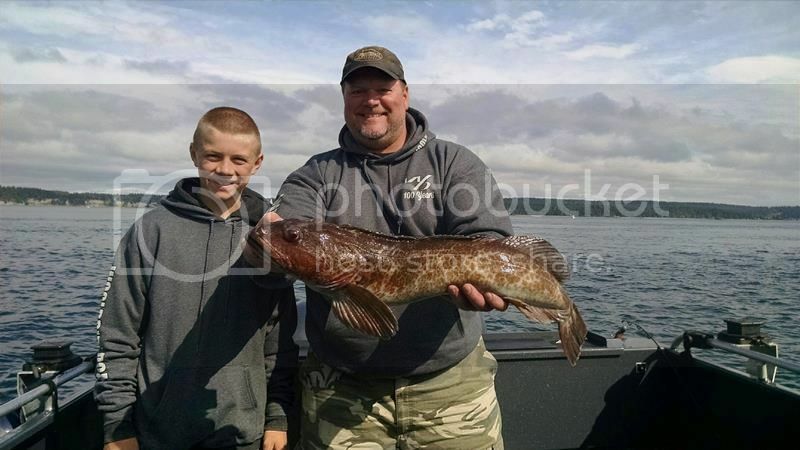 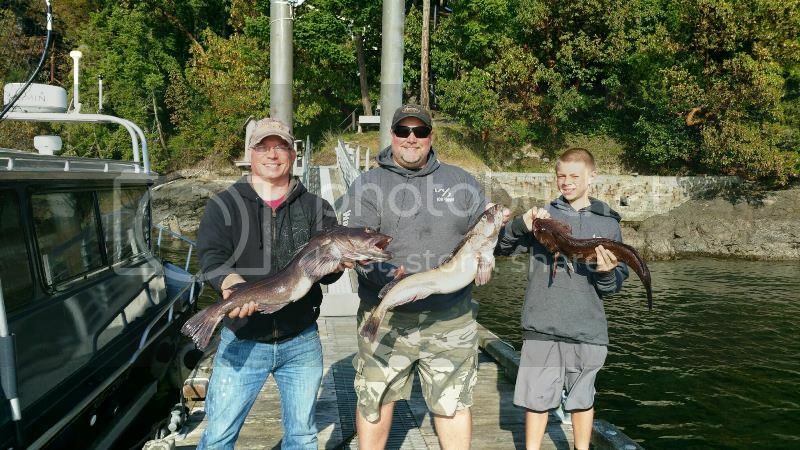 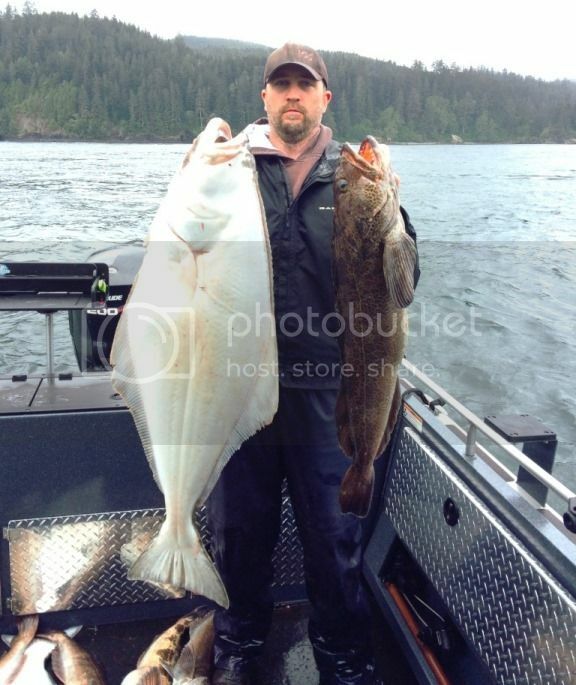 Here are some pics of the Lingcod they brought home! 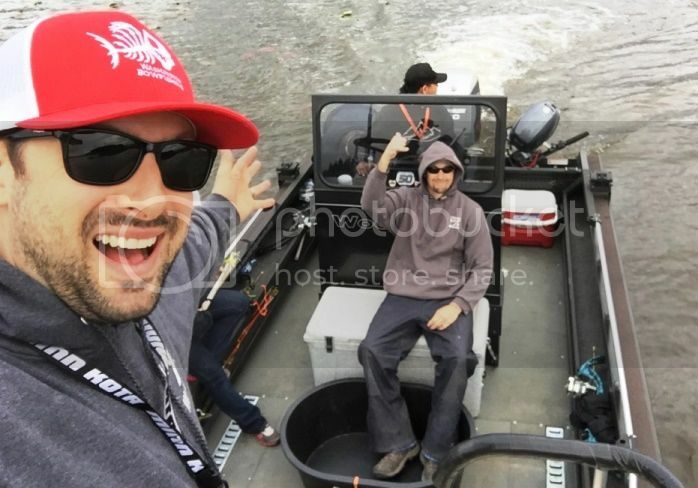 W/B.